Are you a homeowner? If so, if you could change one thing about your bathroom, what would you like to change? If you are like many other homeowners, there is a good chance that the bathtub was your response. In the United States, there are a fairly large number of homeowners who wish that they had a new bathtub. If you are one of those individuals, did you know that you don’t have to wish any longer? If you want a new bathtub, you should get one. Making a new bathtub part of your kitchen-remodeling project isn’t as difficult as it may seem. It is also a good idea to determine, ahead of time, how your new bathtub will be installed. If you are planning on having a professional install your new bathtub for you, you will need to keep the extra costs in mind. 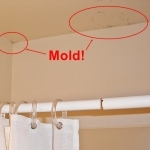 Although you may want to avoid paying a professional contractor, you may need to. There are a number of bathroom contractors who specialize in replacing bathtubs. In fact, some, literally, just place a new bathtub right over the old one. It may be possible for you to do this yourself, but, in most cases, you will find that a professional contractor could have your new bathtub installed in as little as a few hours. Regardless of whether you choose to install your own bathtub or have a professional do it for you, you will need to find a new bathtub to purchase. If you are looking to have your old bathtub completely removed, you will likely find that you have more options. When a new bathtub replaces an old bathtub, the tubs need to be about the same size or style. Therefore, if you are remodeling your bathroom with the hopes of getting a new bathroom, you may be looking for something different. Luckily for you, you still have an unlimited number of options. In the United States, the most commonly installed types of bathtubs include traditional ones, which are also known as standard tubs. These bathtubs are often connected right to the wall, placed in a corner, and sit directly on the floor. 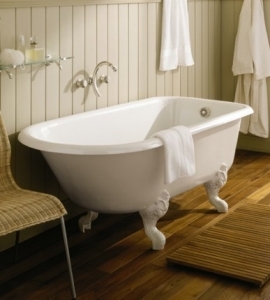 What is nice about most traditional bathtubs is that they are relatively affordable. You can purchase a traditional bathtub for as low as two hundred dollars. If you are looking for comfort, instead of price, you may want to look into spa-like bathtubs or even massage bathtubs. These bathtubs, as you may assume, cost more than most others. Many massage bathtubs or spa-like bathtubs retail for around one or two thousand dollars. If you are looking for a trendy, stylish bathtub, you may prefer to own a freestanding bathtub. Freestanding bathtubs can cost as low as five hundred dollars, but they can also reach into the thousands.